While the study, performed at Oslo University Hospital in Norway from October 2014 through May 2016, 59 participants were randomly assigned to 3 groups placed on diets containing gluten, fructans (a type of fermentable oligo-, di-, monosaccharides, and polyols), and placebo, concealed in muesli bars, for 7 days. Following 7 days were measured gastrointestinal symptoms according to scale irritable bowel syndrome (GSRS-IBS) version. The final conclusion was: most of the symptoms were associated with the muesli bar containing fructan, while after the using of the bars with gluten and placebo (muesli bar without gluten) in the study didn’t show any significant difference between the reported symptoms. So, why it was considered before that especially gluten consuming caused symptoms, named as Gluten Sensitivity? It could happen because foods with gluten often contain fructans. Thus, summarizing all above, the results of the study may explain why people with irritated bowels often notice improvement, sitting on a gluten-free diet. However, this will not lead to a full recovery. Avoiding the use of wheat, these patients eliminate only a large part of the fructans from their diet, but they can also meet it in other foods (the same onion and garlic). Even some gluten-free products can contain fructans. This recent scientific work was the first in which scientists carefully studied the relationship with these symptoms of those people who claim to be sensitive to gluten without celiac disease. So, now researchers believe that, most likely, people who feel bloated and other inconveniences after certain dishes, in fact, react to fructan and take it for gluten intolerance. By the way, fructan is also found in onions, garlic, asparagus, cabbage, and artichokes. Recent studies also point to a dangerous relationship between a low in gluten diet and a high risk of developing type 2 diabetes. Thus, the fashion trend of rejection of gluten can be considered a dangerous diet, and potentially more harm than good. Choosing the gluten-free diet, when there doesn't diagnose Celiac disease, may have a negative effect on nutrient intake. Most foods that contain gluten also contain calcium, vitamin B, and iron. When that’s taken away, important essential nutrients are also will be taken away. Stick to natural foods as opposed to substituting options! Anemia is common in runners who are on a gluten-free diet, especially women runners. Gluten-free food substitutes are typically not iron fortified. It’s important to find ways to replace the lost iron. On the other side, Gluten-free diet, and possible in future Fructan free diet will take away all beneficial compounds for Good bacteria flourish throughout the colon. So, people must use probiotic, as food every day, for preventing trouble absorbing nutrients properly. Looks, like we will use only artificial food in future! You have to know about Triclosan! Triclosan has been shown to bioaccumulate in your body! It readily penetrates your skin and enters your bloodstream much easier than was once thought, and it is now having been found to be widespread in blood, breast milk and urine. Triclosan found in antibacterial soap; dish soaps and detergents, body washes, toothpaste and even cutting boards and… lipstick. Wash your hands with good soap and hot water. Eucalyptus and Tea Tree essential oils have been found to be potent antibacterial for use on household surfaces – add 20 drops of each to a spray bottle of water, shake well before use, then spray and wipe as usual. For disinfection you can also use misting 3% hydrogen peroxide followed by misting with vinegar killed virtually all Salmonella, Shigella, and E. coli bacteria on heavily contaminated food and surfaces. Using one after the other (separate spray bottles) was found much more effective than mixing them together. This problem is doesn’t fully understood today. We may only relate it to some factors, such as: heredity, various medical conditions and using of some medications. ​So, what medical condition may cause hair loss? Autoimmune problems, when immune system attacks hair follicles and causes sudden non scaly patchy hair loss. Infections of the scalp, as ringworm, cause scaly patches hair loss. Other skin disorders, as lupus, sarcoidosis, lichen planus, may cause permanent hair loss at the scarred area. Drugs used for treating arthritis, cancer, depression, heart problems, high blood pressure, birth control pills, and vitamin A in high dosage. High fever or surgery; and if scarring occurs there, hair loss could be permanent. As a risk factors may be: family history, age, poor nutrition, some medical conditions (as diabetes and lupus), and stress. And…we have herbs for this problem. It is possible to treat by the herb’s tincture for taking orally (by mouth), and topically by spraying or rubbing into scalp. I'm working on it! -Would you like some milk for your tea? Hold on! 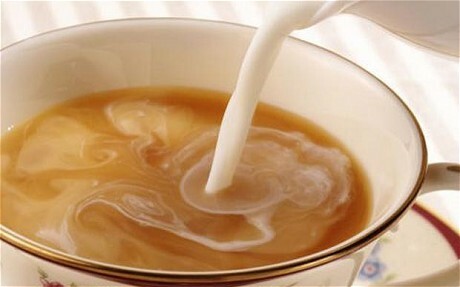 Adding milk to your tea can reduce the health benefits of catechins (some antioxidants) in the tea. When you add milk, the protein casein binds to catechins in the tea, making it unavailable to the body. Studies show that black tea without milk allows the arteries to relax and expand, increasing blood flow. So, develop a taste without milk. It matters! Good news for chocolate lovers!!! A new study revealed that dark chocolate helps you perform better when eaten before a workout. In dark chocolate was found epicatechin-the healthy flavonoid, which helps in a natural way to increase your energy. However, only small amount of dark chocolate (approximately 5 grams) is needed to enhance the performance. Overeating would undo the benefit. Further, milk chocolate would not suffice, as it is too processed. Do not overdo it!!! If you are still craving chocolate after a workout, make yourself a glass of chocolate milk. It is popular houseplant, but almost unknown as medicinal plant, which leaf and stem contain significant chemicals bufadienolides, which are potential anticancer and insecticidal active compounds. Other its phytochemicals proved against parasitic and bacterial infections, possess antiulcer activity and may be used as antidepressant. Kalanchoe has potent anti-histamine activity, especially research demonstrates that its leaf juice is able to block histamine receptors in the lungs and so may be used as anti-allergic remedy. In animal studies, Kalanchoe shown sedative and central nervous system depressant actions. Its anti-inflammatory effects have been partially attributed to the immunomodulatory and immune suppressant effect. As well, traditionally, Kalanchoe leaves are rubbed or tied on the head for headaches; leaf decoction usually taken to lower blood pressure, leaf juice used for earache, and it is used for rheumatoid arthritis, bruises, burns and ulcers. An herbalist is a person who collects, studies, and uses plants – generally in a medicinal manner. Herbalism, also known as Phytotherapy, is the use of plants to treat common ailments and promote wellness. It is the oldest form of medicinal healing known to man. Although it is classified as an alternative therapy, it is the most widely practiced form of medicine used worldwide, with over 80% of the world’s population relying on herbs for health. Currently over 50% of all new pharmaceutical prescriptions contain at least one ingredient either produced directly from plants or discovered from plant sources and later synthesized. Modern medicine draws it origins from early herbal therapies. Until the advent of synthetic medicine within the past 50 – 100 years, all medical doctors prescribed herbs routinely. Herbal medicine uses plants that do not have the aggressive and invasive action of modern drugs, but instead support the body’s own natural tendency to heal itself. Herbal products are derived from roots, stems, flowers or leaves of plants and are frequently sold in liquid extracts, capsules, tablets or teas. Herbalists prefer to use remedies extracted from a part of the whole plant, with all its bio-chemical constituents, rather than individual standardized extracts. It is believed that the active constituents are naturally balanced within the plant, and consequently aid in working on the body, mind and spirit in a less invasive manner. From a holistic standpoint, a person is not a patient with a disease syndrome but a whole being. This wholeness necessitates the therapist appreciates the mental, emotional, spiritual, social and environmental aspects of their patients lives, as well as the physical. The importance of tailoring the treatment to meet the individual’s needs is fundamental. Holistic medicine sees health as a positive state of well being, and not simply the absence of disease. It emphasizes the promotion of health and the prevention of disease. Therapeutic modalities are then employed that mobilize the individual’s innate capacity for self healing. An individual’s role in their own healing process is emphasized, with much responsibility being handed back to them. Herbalism abounds with opportunities to experience the reality of the healing presence of nature whether in treating disease or in hugging a tree. With our well established roots of past empirical knowledge we know look to the future, with the aid of qualified herbalists and advancements in science that are able to better identify plants and their constituents, ensuring that mankind will continue to benefit from the immense contributions that plants have to offer. PROTANDIM is a mixture of 5 herbal supplements, which help to regulate the body’s own production of antioxidants. Protandim was found useful in preventing and treating of about 126 diseases and medical conditions, from tinnitus to aging, from hemorrhoids to cancer. Protandim helps to reduce the oxidative stress, which is an important contributor to cancer development. Protandim suppresses tumor formation, due to inducing the oxidative stress, cell proliferation, and inflammation. Protandim activates the body’s natural ability to reduce age-related symptoms on the cellular level. PROTANDIM is scientifically proven to reduce oxidative stress and there are over 14 clinical journals published that. It can be found at PubMed an online library of scientific journals and other research papers. Oxidative stress is an imbalance between the production of free radicals and the ability of the body to detoxify their harmful effects through neutralization by antioxidants. Bacopa monnieri (Brahmi) might increase certain brain chemicals that are involved in thinking, learning, and memory. Some research suggests that it might also protect brain cells from chemicals involved in Alzheimer's disease. Brahmi is used for treating anxiety, attention deficit-hyperactivity disorder (ADHD), allergic conditions, irritable bowel syndrome, mental illness, epilepsy, joint pain, and sexual performance problems in both men and women, and as a general tonic to fight stress. Linoleic acid (Omega-6) that promotes biosynthesis of the prostaglandins, which are responsible for the regulation of the human metabolism. Sterols (including sitosterols), which are anti-ageing and moisturizing agents. Mucilage, which is universally moistener mucous membranes, even it don't come into contact with them (reflex effect). Proteins, as a nutrients, and is the rich source of the natural vitamin E.
​Withania somnifera (Ashwagandha, Withania, Indian Ginseng), is used to treat the anxiety and mental exhaustion, stress and insomnia, it is remedy for MS, senile dementia, Alzheimer disease, due to restoring NS health condition, improving memory, and mental clarity. Some clinical research shows that ashwagandha may improve attention in children with ADHD (Attention Deficit-Hyperactivity Disorder, cerebellar ataxia, and improves balance, for Parkinson’s disease. It is used to treat disorders of immune system, for chronic diseases with inflammation, and cancer; it is good for respiratory diseases, including tuberculosis, bronchitis, and asthma, and for treating anemia, diabetes, arthritis and bone degeneration, fibromyalgia, locally for treating inflammation, ulcerations, and wounds. Generally, it is remedy for preventing signs of aging, and as well may reduce graying of the hair. Camellia sinensis is an evergreen shrub or small tree whose leaves and leaf buds are used to produce green tea. It is native to East Asia, the India and Southeast Asia; nowadays it is cultivated across the world in tropical and subtropical regions. Camelia’s leaves have been used in traditional Chinese medicine to treat asthma (functioning as a bronchodilator),angina pectoris, peripheral vascular disease, and coronary artery disease, and diabetes type 2. Negative effects on health could be while over-consumption, because of presents caffeine, and oxalates in tea. Turmeric (Curcuma longa) has been used in in India to treat stomach and liver ailments, and topically to heal sores. Curcuma is antioxidant, and has antimicrobial property. The active compound curcumin has anti-inflammatory, antioxidant, antitumour, antibacterial, and antiviral activities, which indicate potential in clinical medicine. “Protandim, a Fundamentally New Antioxidant Approach in Chemoprevention Using Mouse Two-Stage Skin Carcinogenesis as a Model”, article, Published online 2009 Apr 22, US National Library of Medicine, National Institutes of Health. Silymarin: A Potent Antioxidant, Liver Protector, and Anti-Cancer Agent. Article by John Morgenthaler. ASHWAGANDHA: Uses, Side Effects, Interactions and Warnings WebMD.